Emily Dickinson said, “I must go in, the fog is rising”. And then she died. The GRL said, “I must get up, the fog is rising”. 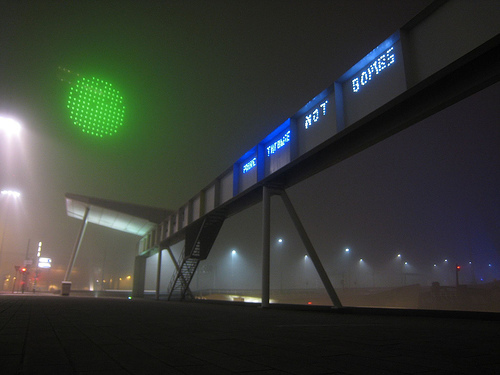 And then we froze our asses off writing a lame mashed-up platitude in three-foot tall glowing letters while hanging off the side of an elevated overpass. 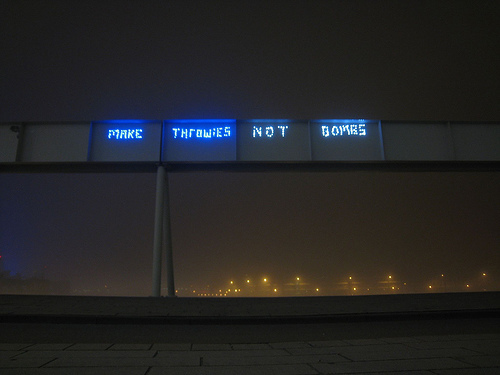 Make Throwies Not Bombs. Check out our video clip on youtube and our flicks on Flickr.